The office is not what it used to be. While the typical 9–5 work space used to consist of a bland little desk to complete work and not much else, times are changing. Nowadays, we are realising more and more that the office environment is more than just a spot to sit and work, and it’s also more than simple aesthetics; the office needs to be a mix of clever design and planning to ensure wellbeing, productivity and flexibility. If you are considering giving your space a redesign, here are five reasons it might be the best move you make. 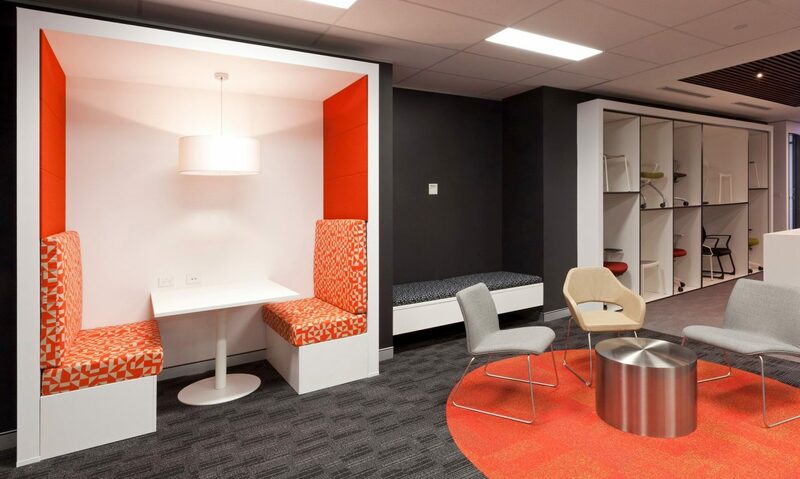 Office design is now being influenced heavily by health and wellness of staff. Providing a positive employee experience, in a place where they feel comfortable, not only helps workers produce better work, they’re more likely to stay at your organisation for the long haul. Many offices are incorporating a recharge and refresh station, or simply adding couches and tables where they can enjoy their lunch. Any additions you make for the benefit of staff will simply show appreciation and give a great boost to morale. There are numerous benefits to going green in the office, not only will it help the environment, it will encourage others to be accountable for their actions and implement positive change. Another perk could be saving costs whether it is lowering your paper usage or being more energy efficient. The green movement is here, and there’s no real downside to implementing it in your office. Layouts and designs of office spaces have evolved and for good reason. More than just looks, new configurations are all about ensuring high productivity as well as comfort. We spent a large part of our time at our desks, so it’s important to carefully think about how your current layout could be inhibiting your team’s productivity or creative processes. Remember, part of keeping up with the times is picking layouts that can easily be altered when required. By keeping up with the latest design and layout trends you are creating an environment where people actually want to work. This will not only reenergise those staff members who may have been there a few years, it will also attract new staff. Open plan offices are currently very popular for a wide range of industries and are great for encouraging teamwork across your departments. Forget about those cubicles that are uninspiring and make you feel isolated, provide that open and attractive space that promotes creativity.